The linguist John McWhorter has written a plethora of books on the English language. For an academic (he’s a professor at Columbia University), he has a very progressive view of English’s evolution, a supporter of the vernacular and everyday grammar with all its quickly-developing trendy figures of speech over the conservative, traditionalist approaches of Strunk and White. Many linguists of tend toward preservation, pushing standardization of grammar and even teaching “proper” usage that no modern speaker would say out loud. But McWhorter has a different perspective and supports change in usage with open arms, believing languages are not static entities. His previous book calls attention to this in its subtitle: Why English Won’t—And Can’t—Sit Still). If you’ve ever seen his talks or interviews, you’ll know he has an unconventional perspective on many things. Japanese has a term that covers both green and blue. Russian has separate terms for dark and light blue. Does this mean that Russians perceive these colors differently from Japanese people? 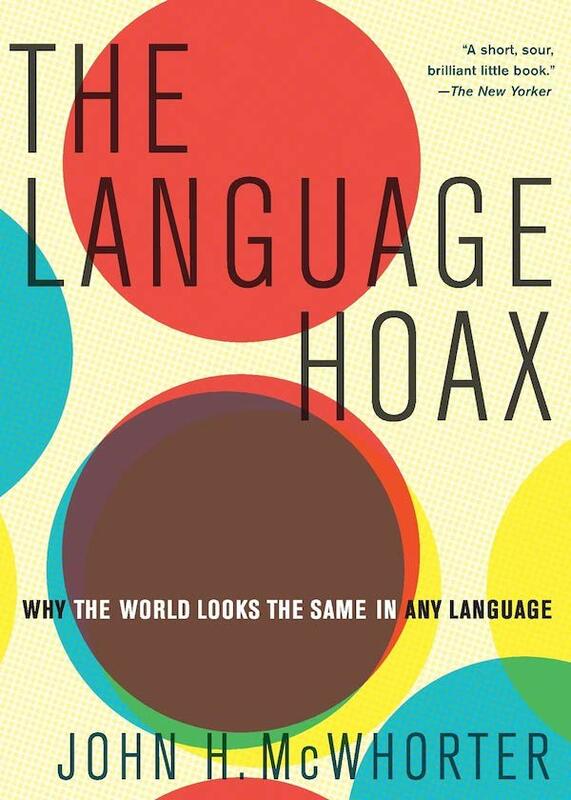 Does language control and limit the way we think, such that each language gives its speakers a different “worldview”? It’s a quick read. McWhorter doesn’t waste time diving right into criticisms of the theory, with many examples of its problems and thin supporting evidence. The differences in language and grammar from group to group, McWhorter argues, are driven by cultures. Culture drives linguistic structure, not the other way around. There are dozens of vivid examples in the book. In English we say “a long time” (time has length) and in Spanish you say “a lot of time” (time is a quantity) — but these differences don’t mean Americans have a finer innate understanding of time while Spaniards are more expert in volumetric measurement. McWhorter claims that most grammatic structures are the result of random chance — tiny variations in usage happening bit by bit over long stretches. One of the reasons I like McWhorter’s work is he has a tendency toward the Occam’s Razor approach to understanding these kinds of differences, versus working to justify a clever theory. McWhorter shows not only how the idea of language as a lens fails but also why we want so badly to believe it: we’re eager to celebrate diversity by acknowledging the intelligence of peoples who may not think like we do. Though well-intentioned, our belief in this idea poses an obstacle to a better understanding of human nature and even trivializes the people we seek to celebrate. The tendency to allow advocacy and activism to creep into the search for objective truth can be dangerous — and not only that, it can actually impact create negative impacts (as that quote suggests). It wasn’t as enjoyable as some of his other books, but he makes a compelling case against a theory that, as he describes, is very easy to fall into the trap of supporting.